Man Utd are reportedly set to sign Romelu Lukaku in the coming days, which marks the end of their reported chase of Real Madrid’s Alvaro Morata. The Red Devils were heavily linked with a move for the Spanish international for months, as it appeared as though he would be their solution up front. Having scored just 54 league goals last season, the worst of any side in the top seven in the Premier League, coupled with seeing Zlatan Ibrahimovic leave, meant that Mourinho had to act this summer. However, as reported by the Manchester Evening News, it’s not going to be Morata who solves that problem as the Portuguese tactician believed that Madrid were purposely dragging out negotiations in order to eventually offer Morata a contract renewal and publicise it as a major coup for the club. 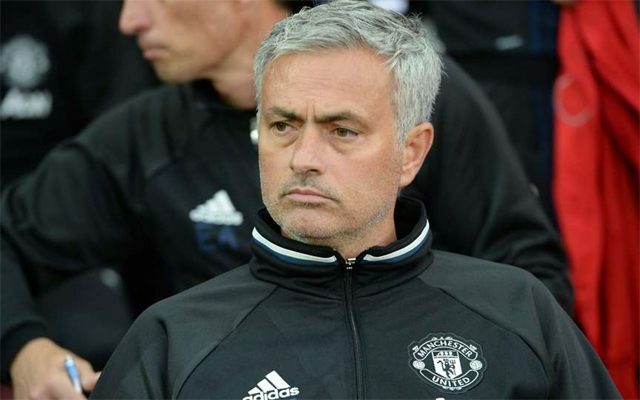 It’s added as part of the theory that the La Liga and European champions have adopted similar strategies with Sergio Ramos and Cristiano Ronaldo in recent times, with both players being linked with a move to Old Trafford, and so Mourinho put a stop to it and quickly switched his attention back to Lukaku. It remains to be seen whether or not Morata does indeed now sign an extension, but ultimately it looks as though United have already moved on. Meanwhile, The Sun claim that Man Utd will offer Matteo Darmian to Inter as part of the deal to sign Ivan Perisic this month. The Croatian international is a top target for Mourinho, who would undoubtedly benefit from the winger’s eye for goal, pace, creativity, movement and work ethic, and in order to get a deal over the line, United’s versatile defensive ace could be included in their offer. Darmian arrived with big expectations in 2015 after impressing in Serie A with Torino, but he struggled to establish himself in Mourinho’s starting line-up last season on a regular basis, and could now be set for a return to Italy earlier than planned.